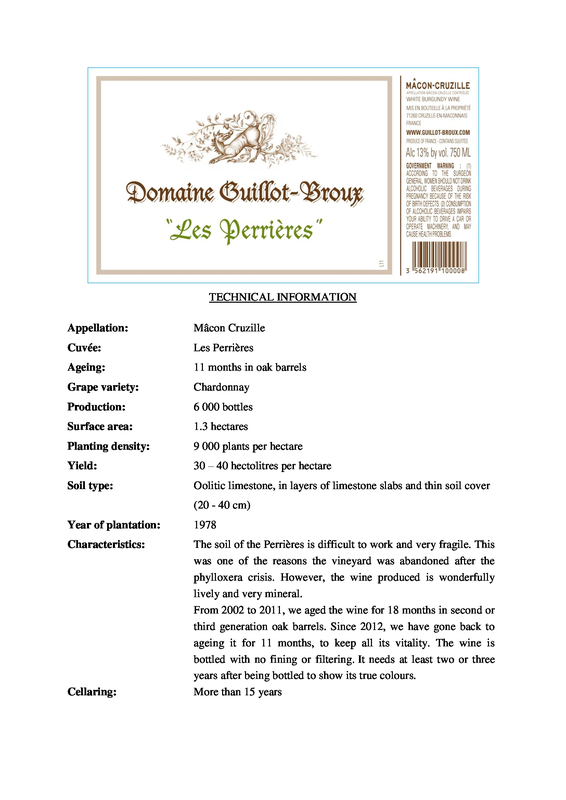 The soil of the Perrières is difficult to work and very fragile. This was one of the reasons the vineyard was abandoned after the phylloxera crisis. However, the wine produced is wonderfully lively and very mineral. 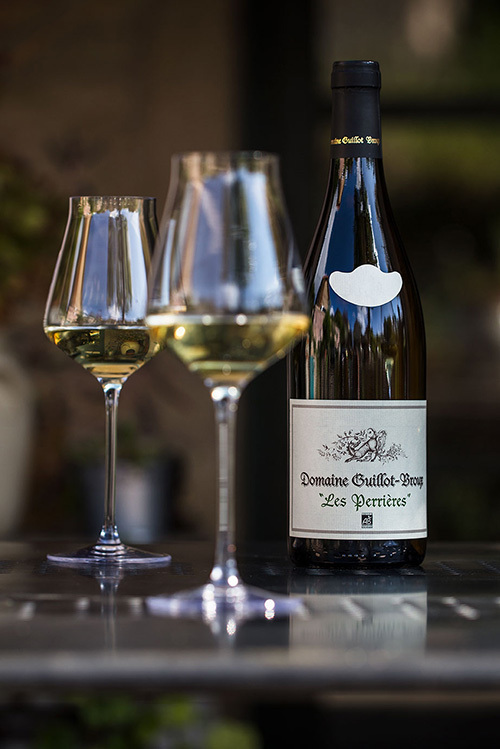 From 2002 to 2011, we aged the wine for 18 months in second or third generation oak barrels. 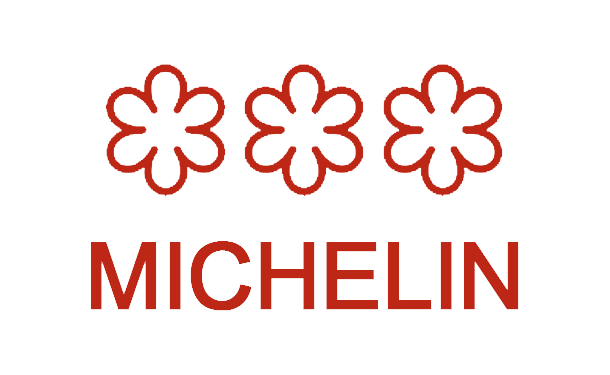 Since 2012, we have gone back to ageing it for 11 months, to keep all its vitality. The wine is bottled with no fining or filtering. It needs at least two or three years after being bottled to show its true colours. 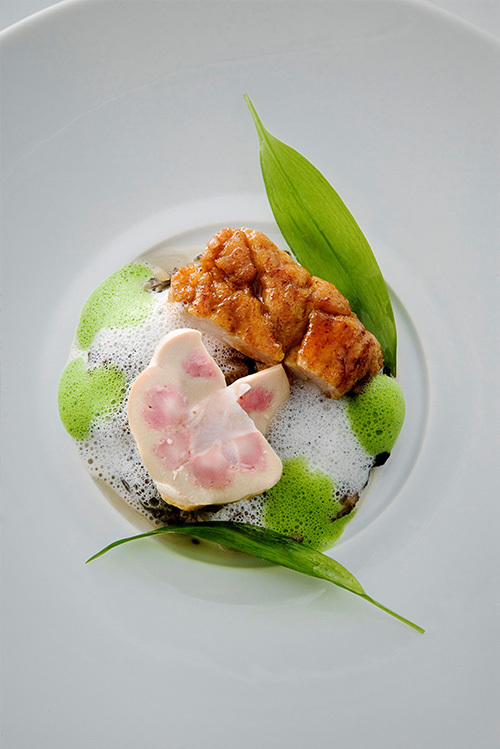 The chef : Pascal Barbot, from the 3-star Michelin restaurant l’Astrance in Paris, has selected his dish of caramelised sweetbreads, kidneys, and a parmesan and wild garlic cream. The sommelier : Alejandro Chávarro pairs this dish with Les Perrières because of its density and richness, with a saline freshness. 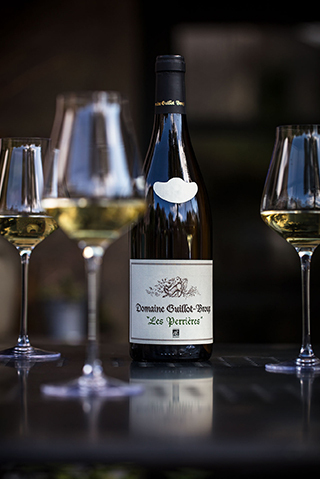 With a mature vintage, you can find the dense texture of the food reflected in the wine, and at the same time link the freshness of the vegetable and wild garlic emulsion with the saline and mineral aspects of les Perrières. 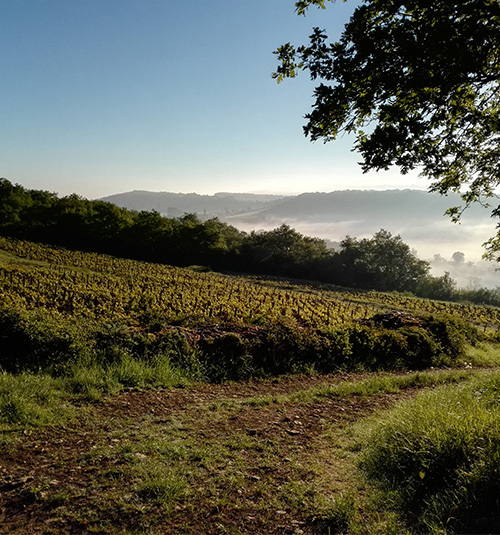 This vineyard is very picturesque, with its three terraces supported by dry-stone walls, surrounded by woods. 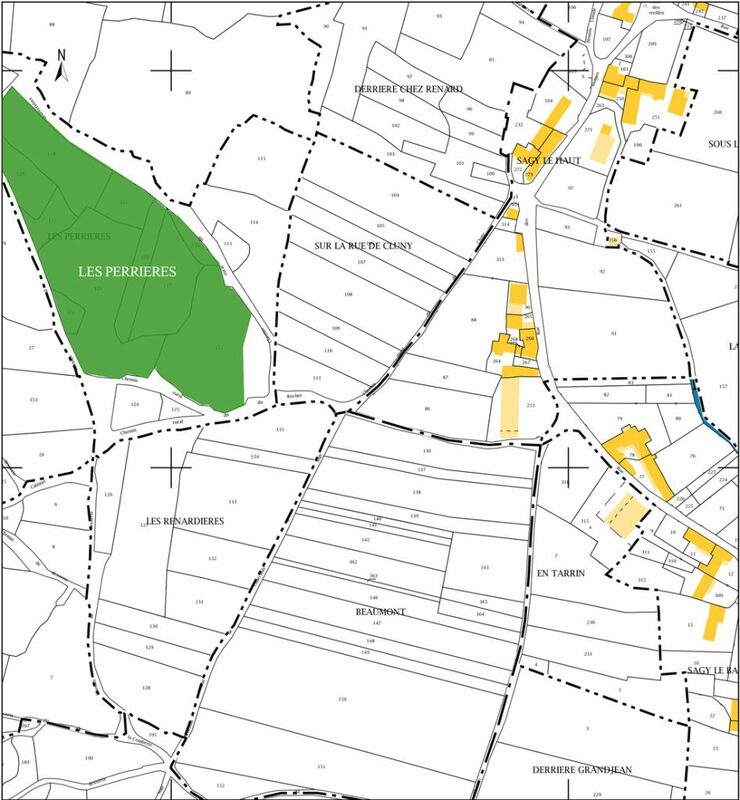 The soil is very stony, hence the name ‘Les Perrières’ (the stony place). It is composed of oolitic limestone (microscopic fossils) and is very rich in iron and manganese. 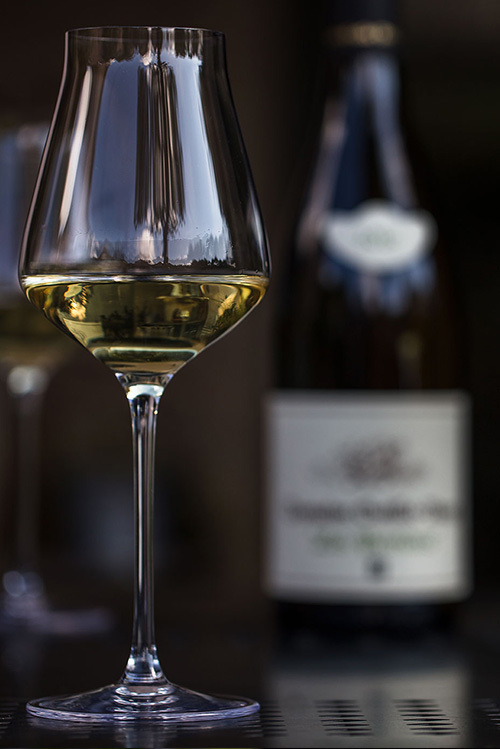 The wines are particularly suitable for ageing (20 to 30 years for the best vintages).